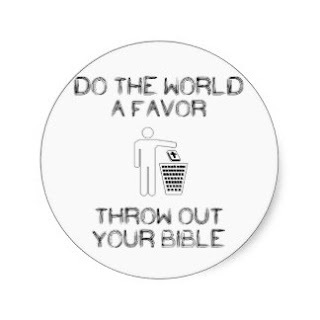 FBC Jax Watchdogs: Tear Pages Out of The Bible and Throw It Out? Shocked by the picture that goes with this post? Did some of you think: “I knew it, the Watchdog has finally come out as an atheist who doesn’t believe the Bible.” On the contrary my friend. This is actually what I hear Christians tell me, and others, who question anything in the Bible. Sad isn’t it? He was right. Of course, to be clear, Dean Bush led the battle for inerrancy of the Bible and I have no doubt that he did believe it all, and he did believe in its inerrancy, and to be clear, there is no basis to doubt that. But his point was, and is, still valid. There is no reason to adopt such statements, or take such harsh action, just because you doubt, or question, or are not sure about some passages. Where does this type of all or nothing thinking come from? Why is it now the litmus test for whether a person is truly saved or not? Why would such a respected leader for the fight for inerrancy ask students NOT to tear pages out, or throw it all out, yet many of you will tell people to do just that. The Bible you have in your homes has itself already had hundreds of pages “torn out” and entire books already determined by men to not be believed and not even included. Will you spend even five minutes on research? Ever heard of the Apocrypha? The Gospel of Peter? The Gospel of Judas? The Book of Enoch? The Gospel of Thomas? There are too many to list. Ever ask or consider or research how the books of the Bible were chosen? Who made the decision to include one book but not another? Why were some books not acceptable? What happened to those who disagreed with the decision makers? Let me summarize years of research for you. A group of religious MEN (sorry ladies) decided which books to include. They were able to pick and choose which ones they agreed were reliable and which ones they didn’t want to include for whatever political, religious or societal reasons they thought best. They literally tore out the parts they didn’t like, and ripped out or excluded the books they didn’t agree with. And, according to scholars and historians, they backed up their decision by destroying any copies of these books (or so they thought) and by excommunicating or even killing those that tried to question their decisions. But we keep finding these books hidden in jars, or buried in the desert sands. Seriously, look it up. Even if you believe these men were inspired by God as to which books went into the canon, and which ones didn’t; and even if you trust their motives writing in the social and political times in which they met to make these decisions; the fact remains that someone had to pick and choose. A circular argument would be “Well, the books they chose are God’s word otherwise they wouldn’t have included them in God’s word.” Whatever. The truth is you are trusting a group of religious, influential MEN, with their own motives and interests during times of social upheaval and turmoil, to pick and choose which books were to be trusted and believed and relied on and which ones were not. That's a lot of faith in men you don't even know. So please don’t tell me I can’t do the same thing with texts I do know; and with men I do know who are preaching it as if they are speaking for God almighty. I can, and will, and do pick and choose. And the indwelling Holy Spirit gives me discernment as to which parts are essential and truth, and which parts are not. And which parts I should apply to my life today, and which parts don't apply. And my pastor and seminarians don't like that. And for some reason, neither do many of you. So my Christian brothers and sisters, I am not going to throw it all out. No matter what you say. And I’m not going to believe it all or none. No matter what you say. And I’m not going to be all tore up about those of you who disagree with me. Good for you. I don't want you to change your beliefs. I don't care what you believe. I hope it works for you. But as my previous posts point out, when it causes division and hurt to others, I have to question whether you actually believe it all, or live like you believe it all, anyway. I could be wrong. But praise Jesus he didn’t say I had to be right, or that I had to believe it all or none in order to be saved. It's called a tertiary issue. Your theological dogma is not my dogma. So there. Some outstanding books that I like to point people toward: (1) Lost Christianities, by Bart Ehrman, and (2) Rescuing the Bible From Fundamentalism, by John Spong. And for those who have already figured-out that the traditional narrative is undoubtedly false, A Common Faith by John Dewey. Or, instead of going to a bookstore, just go to church next Sunday morning and chow down on soothing assurances that only very wicked-wicked-wicked people go around reading and having unauthorized thoughts. The Catholic Church was instrumental in choosing what was to be considered sacred scripture and even what our beliefs concerning Christ and the Church are then and now. Nearly all the early what are considered our church fathers were Catholic if I am not mistaken. Thank you for being honest about your rejection of scripture. It is an important thing for people to consider when the decide what weight they will give your opinions. First, anyone who cites Jefferson as an example of "the faith of our forefathers" is grossly misinformed or dishonest, to the extent he/she is referring to the Christian faith of our forefathers. Just read the prologue he wrote to his "Jefferson's Bible" where he expresses a lack of belief in Jesus' divinity. His "bible" is nothing but his removal of passages he disagreed with. Which leads to my second observation. Tom, why don't you follow suit and come out with your own version of the "bible" with passages you don't agree with excised, a la Jefferson? There are good solid answers to your questions as to how the Canon came to be and those answers indicate a thorough process by men devoted to seek the Lord's will as to what should and shouldn't be included. I know you have a real problem believing that God speaks to humans (this is probably responsible for a lot of passages you don't agree with), so you can't accept that the Canon came about through the hand of God directing man. But in any event, for you to accept some passages as divinely authored and regard others as not is based on nothing other than your personal feelings. For example, I believe you've made it clear you don't think homosexual relations are per se a sin. If I'm correct, then I presume you think Paul's unequivocal condemnation of same was just wrong. Again, if I'm correct, then if you think some of Paul's teachings are divinely inspired, on what basis do you exclude his teachings on homosexuality? Your welcome. And don't forget the only point my recents posts have been trying to make: I don't reject ALL scripture, only some. And there is no requirement anywhere that says I have to believe it ALL to be saved. So, I am also being honest that you don't have to trust in scripture to be saved, you can trust in Jesus. And my opinion is just that. My opinion. And so is yours. Anon 5:03 - I agree. All those preachers that tell their sheep our founding fathers, like Jefferson and many others, shared their faith are being dishonest. No need for me to come out with a version of the Watchdog Bible because I'm not a President or anyone of importance so no one would, or should, care what my view of the Bible is. I have only pointed out how dangerous and harmful religion is. And pointed out how when religious nonsense is preached by charlatans and then repeated by their fundie congregations, can be dangerous and hurtful to people and to the spread of the gospel. And the harm that is caused when the ancient texts are taken "too seriously" by religious fanatics in all faiths. I will be putting up some of the scriptures that I honestly don't believe in faith, or trust for my salvation. I've already done a post on the Tower of Babel and why God supposedly felt he needed to scramble the languages. I will post more of these stories, such as talking donkeys and the sun standing still, that I also don't believe and never will. And I continue to maintain that I am trusting in Jesus' birth, death, burial and bodily resurrenction for my salvation and verses such as John 3:15 and John 14:6 for my salvation. "You don't have to trust in scripture to be saved, you can trust in Jesus." Ironic that (presumably) you base this assertion on SCRIPTURE. Or maybe not. Maybe God told you this (you previously said that the Holy Spirit confirmed for you that not all Scripture is true, but then again at other times you scoff at the notion of God speaking to man, so I'm admittedly pretty damn confused about what you believe). By the way, God told me that the whole book of John is b.s. and that Hitler was the true messiah and that whatever sin I may commit I can atone for by smoking weed. Really, he told me this. Who are you to say he didn't? And on what basis can you tell me I'm wrong? The Bible? Don't make me laugh, the Bible is nothing more than a book written by men, God never said it was His Word. Without a standard for Truth, it is totally wide open for any fool to define Jesus and Christianity any way they damn well please. I can slap a slice of baloney between two slices of bread and call it gourmet cooking. "And there is no requirement anywhere that says I have to believe it ALL to be saved." And even if there were you could just reject that requirement and then everything's cool, right? So whether or not there actually is such a requirement would seem to be irrelevant in your world. Again, ironic to me that you base a belief that you don't have to believe the whole Bible to be saved on the absence of such a requirement in...the Bible. I've never addressed any scriptures regarding homosexuality. I just said that in this country, all people should have the right to marry as long as they are not breaking any laws. It's called equal protection under the law and due process under the law, and is what this country is based on. I will be discussing all that Jesus had to say about homosexuality in future posts. (Which is NOTHING. Never. Not one word.) I also will address what you refer to as "per se sin." I won't be singling out homosexual activity above all those others listed however, because that would be dishonest to single out one and ignore the more common ones listed right along beside it. In other words, if I owned a bakery, I would not sell cakes to the glutton. Anon - You should at least put some identifier on your posts so that I can respond to your posts with more than just your time stamp. To clarify, I don't base my belief that I don't have to believe it all on the absence of it in the Bible. I'm just pointing out that people that believe that you have to believe it all or none are adding requirements to salvation and that there is no justification for it other than their particular, narrow, religious dogmatic beliefs. In other words, their own scripture does not require it so why should they. And your example about Hitler is right on target. It shows why I am skeptical whenever the "man of God" tells his congregation that God spoke to him and told him to build a building, move to another church, etc., etc. I don't understand your issue with me stating that the Holy Spirit gives me discernment. At least I believe that happens, you should give me some credit. But maybe you don't think I can have any wisdom from the Holy Spirit unless I believe in talking donkeys too? The Bible IS a book written by men. And had to be transcribed over and over again by men through the centuries. It contains truth. But it also contains some nonsense. Your post contains some truth. It also contains some nonsense. I have discernment as to which is which. I don't need a holy man of God (seminarian, paid clergy) to tell me what to believe. So when you say God told you Hitler is the messiah, I know that's nonsense. Or when a preacher says I'm not a Christian unless I give 10% of my gross income, undesignated, to his 501(c)(3), I also know that is nonsense. Pretty simple to understand. I don't need the Bible to tell me Hitler was not the messiah. Sheesh. I hope you don't either. Anon - Standard of truth? Do you seriously believe we can't answer those questions you ask unless we believe ALL the bible? We know smoking weed can't atone for sin, with or without belief in the Bible or Quran or Book of Mormon. We don't need a standard of truth to know Hitler is not the messiah. What about the laws of the United States? They tell me not to murder, not to steal, not to harm others, etc. How many pastors, when accused of unethical activity, simply reply "I'm not breaking any laws." It seems as long as no laws are broken, these charlatans are fine. Seems hyprocritical to me. You are illustrating another kind of dangerous fundamental thinking, which is that without the Bible mankind would be in chaos and we would all just do whatever we want. Do your research. The Chinese have laws and morals that pre-date Christ by thousands of years. Many atheists, Jews, Mormons, JW's, Buddhists, etc are moral people without believing in an inerrant and infallible Bible. I don't kill people because I don't like hurting others. It is also a capital offense. It has nothing to do with the fact that Moses brought that commandment down from a mountain after a burning bush wrote it down in stone tablets which none of us have ever seen. I do get it, Tom. I understand what you are saying. But you cannot argue with people whose primary source of truth centers around a circular argument that the bible is inerrant because God revealed it to them, and God revealed it to them in the bible. These people will never be able to see the danger in their reasoning. The only thing positive I can say about these commenters is they likely are very decent and moral people, too decent to be good Christians and follow the bible completely. They have not only deceived themselves in believing the bible is some sort of magic book but also deceive themselves in believing they obey it. They don't and that is a good thing for all of us. Before the bible was put together all the people had was to listen to the gospel message and check it with the old testament. And the gospel was the framework to understand the old testament. Without the gospel, reading the old testament leads one to become performance oriented just as the society at large wants everyone to be. This can be very tiresome and make people in to legalistic slave drivers. So the key here is listening to the gospel and for some awakening to take place and then read the bible under this new awakening. With the new testament added to the bible it is possible for one to understand the gospel on their own but quite often the framework gets warped while reading the old testament first. And the other aspect is reading the bible passages literally and or symbolically or metaphorically is where lot of the confusion comes. And also cultural context, lack of punctuation and if the passages are being applied to one specific person at that time and so on. BTW the above can be resolved if the gospel is understood properly and to let the bible be used to interpret itself to resolve the above issues. I guess this is what discernment is all about. This may be the most historically illiterate summary of the canonization of scripture I've ever read in my life, and I've read some bad ones. I'm no fundie, but wow. Just wow! This site has finally and officially jumped the shark. Can you be a little more specific? I assume you disagree and this is your way of articulating your disagreement. The post is not an educational or historic piece on the canonization of scripture. I'll leave that to the seminarians, preacher boys, and professional clergy. The point is fundies shouldn't be so dogmatic about believing it all or none. That stance only hurts the gospel, hurts the great commission, and hurts many families. I don't understand the concept to believe all in the bible when it is so poorly interpreted and understood. Just take Revelation. Wade had done Wed eve series on it that explains it completely different from what is preached and talked about in lot of churches. BTW Wade is very convincing in his explanations. What about the mistreatment of all the women in complementation interpretation of the bible. I am shaking my head at this concept. Tom, I want to point out how intellectually dishonest your critics here can be. Of course many who read your views on the bible will be offended and disagree. But most won't post a response or even give a thought to your arguments. Why? Because fundies have set up the perfect system: if you disagree with the concept of the infallible bible they can summarily dismiss you as a heretic, a "non believer" and don't have to go through the work of considering your arguments. In fact, it's worse: if a true believer reads your arguments and considers them, they are opening themselves up to the work of Satan. You are "attacking scripture" and are doing the work of the devil and are going to hell so why subject one's brain to your points. Me again. So this is why they post anonymously. They don't want others to know they are even reading your rubbish. It is sinful. And their arguments will be weak and simply dismissive. You making these arguments on the Internet in their eyes is as bad or worse than you coming out as a homosexual. In the eyes of fundamentalists what you are doing is terribly sinful and harmful. I say it is wonderful and refreshing. Many people know what you're saying is true but they exist within a religious system that would get them exiled if they uttered such "nonsense"
Ask them SBC pastors pre CR. Theyll tell you. If Jesus is God, then he had a lot to say about homosexuality, as well as a lot of other sins. You would have to reject everything in the law as God given, as well as rejecting New testament passages of Paul as being un-inspired. Dawg, you can't win an argument with such morons. You can only let them comment so their moronic statements can speak for themselves. Is this an old earth vs. young earth discussion? That is usually the arena where some of the arguments listed appear. Just asking so I understand. Andy, no it's not. Because so far no one has insisted that I believe in a young earth or I can't be a Christian. I'm the guy you asked to identify himself. It seems to me we are talking about two distinct things. One is whether you believe all of the Bible reports FACTUAL truth. The other is whether you believe all of the Bible reports DIVINE truth. I don't have much problem with someone who doesn't believe the former; I don't believe it myself. The OT never says "everything written here actually happened" and much of it clearly belongs to that ancient style of literature known as mythology. But just because it is mythological doesn't mean it doesn't impart divine truth. For example, in my estimation it really doesn't matter much whether Jonah is fiction or nonfiction. The moral of the story is the same either way. Now, that is not to say I think it's just fine if you think ALL of the Bible is mythology. Some of it, particularly the Gospels, was clearly written as factual relation, and I believe they accurately relate the facts on all important points. But then, we have those who reject all or parts of the Bible as DIVINE truth. This seems to me to be when one says, in essence, "this passage here is not from God, it shouldn't be in any book which purports to be the Word of God. God as I understand him would never teach this." I find rejection of any part of the Bible as DIVINE truth quite problematic. If we've come to the point that people calling themselves Christians can approach the Bible a la carte and pick and choose what they believe is inspired and what isn't, then we're going into new and dangerous territory. Ok, so do you believe in a "young earth?" So, I guess you believe Jesus deserved to die on the cross? Gotta love folks...either you believe like me...or you're " Going to Hell." Once again, is it any wonder people are running for the church door by the droves? And again, it's not just that the charlatans and their blindly loyal devoted followers adopt this view. It is the fact that a husband or wife, son or daughter, mom or dad, have adopted it and caused pain and division and harm within their own families. Please family members, don't put your religious dogma ahead of the reality that is loving your spouse, children and family. Let the seminarians and paid professional clergy fight that battle. They get paid handsomely to do so. I see a lot of straw-manning going on around here. Sure there are a lot of Christians who believe their beliefs are the only valid ones, but that's not the same thing as saying someone is going to hell. Not the same thing at all. I don't think I've seen anyone on here tell anyone they're going to hell. Fundamentalists say that non-fundamentalists are wrong about their interpretation of the Bible and what it means to be a Christian. Non-fundamentalists say that fundamentalists are wrong about, what? Their interpretation of the Bible and what it means to be a Christian. So from where I stand, both sides are as "guilty" as the other in closed-mindedness and insistence that they are right and the other is wrong. I point this out because it seems to me that some non-fundies have this self-righteous notion that they are somehow less dogmatic in their beliefs than fundies are. This notion is false. Hi, what I mean is that if the earth is "old," or that if there were millions of years of death and struggle, disease, etc before man sinned; and if Jesus was the creator of that, or used evolution and what not to "create," then death would be from Jesus, not man. Thus, man isn't responsible for death and destruction, but Jesus. See what I mean? Doesn't mean you aren't going to heaven. The big word for what you are asking about is "Theodicy". This is the study of how and why evil exists. I read a book called "The End of Christianity" which I believe was written by a guy named Dembsky. He tackles the question you ask...if the earth is old and there was death before the fall how could sin and death have entered into the world through one man(Adam)? I don't necessarily agree or support his view and I'm not sure if I completely understand it. My only point is that there are theories, views, positions on these issues that we should probably familiarize ourselves with. Tim Keller is another I would recommend on this subject. I do agree with you that if the fall was not the gateway to all sin and death in the world there are significant implications to he historic Christian faith. I'm a bit confused over your choosing to not accept the Scriptures as they are written under the inspiration of God---all of it. You specifically mention a problem with "donkeys." Now, don't get me wrong. To me, that passage in Numbers makes me lift an eyebrow of wondering, too, and yet that whole passage relates the story of how God unusually and dramatically led that donkey to "open the eyes" of Balaam's understanding and to finally realize exactly what He wanted Balaam to say to the people in Moab. The story is God's, it has words that He uttered, directed, and inspired. I'll grant you, it IS incredible to read about a talking donkey because the only other animal I know of that had the ability to speak, as recorded in ALL of Scripture, was the serpent who spoke to Eve in the book of Genesis. The point is that this type of miracle was an extreme rarity that was never again duplicated by God. And then, when you consider that the Holy Spirit gave the instant ability of speaking foreign languages to the Apostles on Pentecost day, why should God's ability to effect language be limited to only humans--and so unbelievable with animals--when, in fact, the "whole world is in His hands?" If, as you say, you trust the Lord for salvation, do you also trust that it is He who made the universe and all that it contains? Job 38-42 is a sobering reminder that we humans do not have all knowledge but, sadly, many people choose to understand the world on THEIR terms and by only what they see. God, however, then asks us as humans about our beliefs and our understanding to explain how things are: "Who is this that questions my wisdom with such ignorant words? Brace yourself like a man, because I have some questions for you, and you must answer them. Where were you when I laid the foundations of the earth? Tell me, if you know so much. Who determined its dimensions and stretched out the surveying line? What supports its foundations, and who laid its cornerstone...who kept the sea inside its boundaries...have you ever commanded the morning to appear and caused the dawn to rise in the east?" (New Living Translation, Job 38:2-12). If you believe that God did all that and more, much more, then causing a donkey to speak is not so hard to put into the realm of plausibility, especially when you see it in correct context and what God accomplished. And, quite frankly, any other passage that you might have a "problem" with must be understood that this is purely your own reasoning if there is doubt or unbelief and has no effect on the truthfulness of what the Scriptures say. I know some things in the Bible seem almost unbelievable but we must be compelled to believe it anyway. All of it. Besides that, believing in or not believing in a talking donkey has nothing whatsoever to do with your salvation and the job that you and all of us who trust in Jesus for salvation are called to do. Incredibly, you are NOT called to be a blogger but you are called to be a witness of the saving power over sin that Jesus provided for us. That is your calling according to Scripture and anyone else who knows Jesus as Savior has the same job. We're ALL called to be witnesses. God simply asks us to trust Him, so we dare not pick and choose what to believe in His word just because it seems far-fetched. I am a Baptist Christian of some 60 plus years. 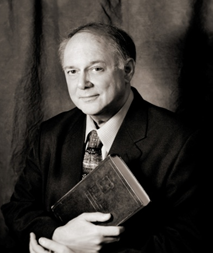 I have studied the Bible extensively and have numerous commentaries and other resources. I have become a red-letter Christian, recognizing that even those statements by Jesus were written down decades after he spoke them. No where is it recorded that Jesus said we have to believe the book of Genesis literally to be a good Christian. No where did Jesus say that the Bible is the "Word of God". In fact, he contradicted statements that are in the Old Testament. But he did say that if we believe in him, we will have eternal life. BJ - Thanks for your discussion and tone. Your sincerity comes through. I understand your line of thinking. I have heard it all my life in Baptist churches. I never believed it. To me, the donkey wasn't just used to open Balaam's eyes. God could have, and certainly has throughout history, used anything and everything other than talking animals, to open our eyes. This donkey actually used the Socratic method of teaching (asking questions of his student instead of feeding them facts), had a great memory, had reasoning skills, and was aggressive in his questioning. Let me be clear as I can. Unless you are delusional, or a religious fanatic, or have blind loyalty to every single story in some ancient text as some holy magic book, there is no way you would even consider believing a donkey talked. Step back from your dogmatic belief in a Holy Book and you will realize that talking, reasoning donkeys don't exist. Period. You have to have a bunch of mental gymnastics to convince yourself to believe such nonsense. And you were not there. And the writer was not there. So you are believing a revelation of God to some unknown parties and calling it a revelation to you and to me. It's not. Donkeys don't talk. It's false. And it's unnecessary. Just let the angel show up and speak like countless other times in the Bible. Sure, God COULD make them talk. And he COULD make elephants fly. But we all know he doesn't right? So Dumbo is fiction. Even if some holy man or holy book says it happened, I won't believe it. How do I know? Besides centuries of observation and in my own lifetime, I know animals don't reason and they don't talk. I also know there is no magic underwear and no golden tablets and I don't believe Joseph Smith and neither do you. Why not? They claim its inspired, but you know better, right. My intellect keeps me from being a follower of Jim Jones, or David Koresh, or a Mormon, or Jehovah Witness, or converting to Islam. As for those questions the scripture quotes that you included, I say Amen. I would put those questions from Job right back at you. I don't claim to know those answers, but the dogmatic religious fanatic claims he "knows that he knows." He can't know. I admit we can't know. Will you? And here is where we differ the most. You wrote: "I know some things in the Bible seem almost unbelievable but we must be compelled to believe it anyway. All of it." To that I say WRONG! We are not "compelled to believe it anyway." Members of a cult are compelled to believe whatever they are taught. That is cultish dangerous thinking. And it is why we are losing the next generation. The opposite is true. We are NOT compelled to believe ANY of it. (Except by professional clergy and religious fanatics) As a matter of fact, we need to see if we believe ANY of it and go from there. Otherwise, like the next generation, it becomes irrelevant to our lives. religion all together in an inseparable bundle: I (and many non-religious people, or "lost" people") don't believe in talking donkeys. It's that simple. I don't believe in talking donkeys.